Norse mythology has always had a very special place in my life. My father's side of the family comes from Norway, my father's father and all his ancestors having been born there, as well as my father's mother's parents and all their ancestors. I grew up reading the wonderfully-illustrated Norse Gods & Giants by Ingri and Edgar Parin D'Aulaire (1967). As I've said before about some of the books which influenced me growing up, I had these books available at such a young age that I cannot remember ever not having them to read. Because Norse mythology has always been so important to me, I waited to write a book which would delve into the Norse myths until after I had already written Star Myths of the World, Volume Two (Greek Mythology) and Star Myths of the World, Volume Three (Star Myths of the Bible). I wanted to increase my understanding of the celestial language used by the world's ancient myths before approaching the numinous world described by the Norse myths. I'm glad that I waited, because the connections to the stars uncovered during the exploration of the myths of ancient Greece, and the stories and characters in the scriptures of the Bible -- as well as the celestial connections in the myths of ancient India, and ancient Egypt, and ancient Japan, and the cultures of the Pacific, among others which were examined in Star Myths of the World, Volume One -- proved to be absolutely vital for grasping some of the celestial connections in the myths of northern Europe and the Norse. This book is just now beginning to make its way to the various sales channels such as Barnes & Noble or Amazon.com. You should be able to request a copy from your favorite local bookseller (if you are fortunate enough to still have one in your area), or request that your nearby library order a copy for you to check out when it arrives. 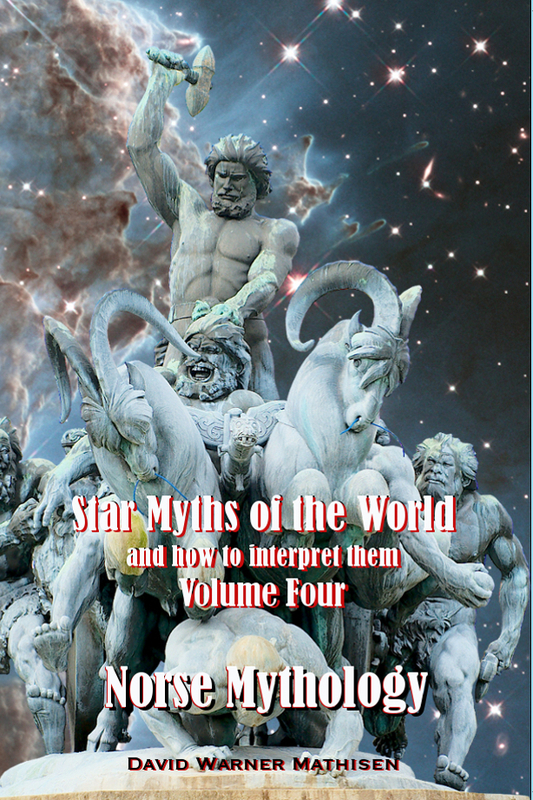 You can also see sample content from this latest book, and from all my previous books, in the "Books" section of my main website, starmythworld.com. On that same page, you can find a link (near the bottom of the page) to a page where you can order signed copies directly (be sure to specify the name or names you'd like in the inscription, in the window provided, prior to placing the order). I think you will be astonished at some of the connections between the Norse myths and the myths from other cultures -- connections which show that they are all using the same world-wide system of celestial metaphor, and that they are thus all in some way related. Even though I was already quite convinced that the world's ancient myths are all related through this celestial system, I myself was surprised by some of the connections that came to light as I explored the Norse myths during the writing of this book. And I believe your life will be positively benefited by the ancient wisdom that the Norse myths want to tell us, once we begin to listen to them in the language that they are actually speaking . . . the language of the stars.